The 7th Annual Music Video Asheville (MVA), a showcase to highlight the pairing of Asheville musicians and filmmakers, is calling for submissions to this years event which will take place on Wednesday, April 16, 2014 at the Diana Wortham Theater located at 2 North Pack Square Asheville, NC 28801. The deadline to submit a video for consideration to to this year’s event is Friday, March 14, 2014. Guidelines on how to submit are at www.MusicVideoAsheville.com. Prizes for winning videos will include a free day of studio time at Echo Mountain Recording Studios and a $500 cash prize! Other awards to be given this year include Best Cinematography, Best Soundtrack and Best Costume Design and Best Visual Design. 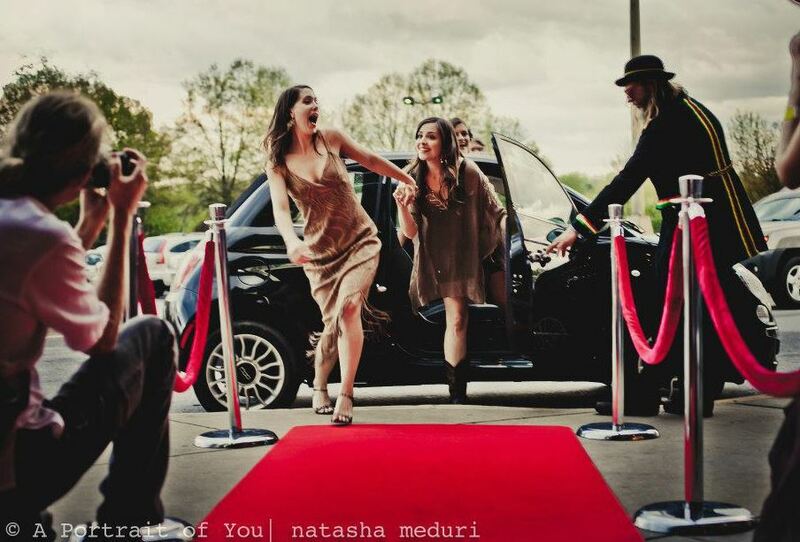 To celebrate the 7th Anniversary of one of Asheville’s favorite music events, the MVA crew is once again rolling out the red carpet…literally. Music Video Asheville strongly suggests “Grammy style” attire (with Asheville flair, of course) and will be offering tickets for preferred seating. Pre-show cocktail hour will take place in the lobby at 6 o’clock. The viewing and awards ceremony will be from 8-10pm. Tickets are now on sale at Harvest Records in West Asheville and at MusicVideoAsheville.com. MVA 2013 is produced by Lush Life Productions and theONcorps. If you’d like to get involved as a sponsor or volunteer for the event, please contact Kelly Denson at Kelly@LushLifeToday.com or call 828-515-1081. Music Video Asheville 2013 Winners! Music Video Asheville is THIS Wed, May 9th at Cinebarre! 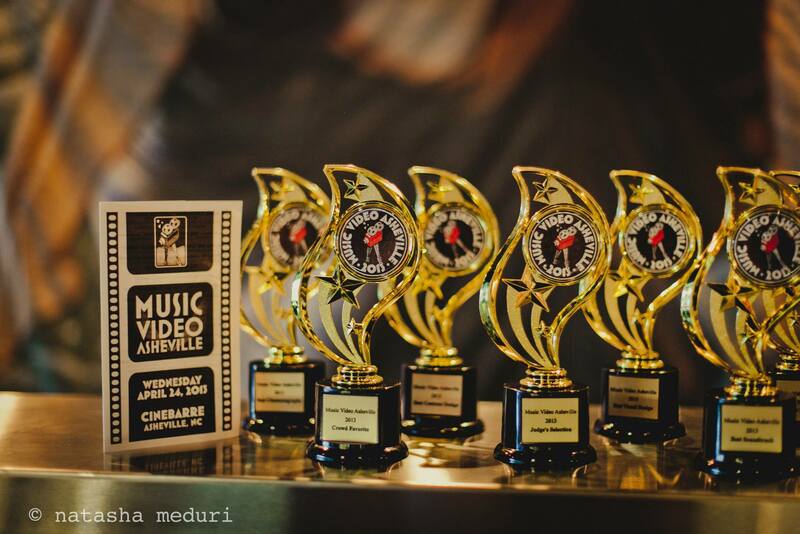 Dress the part and get decked out in your Grammy finest attire* (of with your Asheville flare) and hit the Red Carpet at the 5th annual Music Video Asheville Viewing and Awards show THIS Wednesday, May 9th at Cinebarre, at The Biltmore Square Mall. Gather with your friends, pose for photos, and vote on the crowd favorite. Prizes for winners will include a free day of studio time at Echo Mountain Recording Studios and a $500 cash prize! Classic cars with chauffeurs will be at the theater parking lot to drop you off for your Red Carpet moment; paparazzi, photo shoot and all! Come in style on the New Belgium VIP Party Bus: it will pick you up at the One Stop downtown and bring you back after the awards for an After-Parti with DJ’s Molly Parti and Par. There are 30+ videos in this year’s event shows a broad range of styles from hip-hop to indie rock to americana. Come early, at 6pm, to get in on the great photo opportunities, hang with your friends, and mingle with the filmmakers and musicians. Seating starts at 7:15 with the show promptly beginning at 7:30pm with a brief intermission. At 9:30 the audience ballots (your ticket stub) will be collected. While the votes are tallied, Guest Speaker Tom Taddeo will talk about his experience in working on music videos with Snoop Dog, Tupac, Dr Dre, Ice Cube and answer questions. An awards ceremony will follow. Tickets are available at Harvest Records, The Honeypot and Cinebarre. For more information visit http://www.musicvideoasheville.com. *NOTE: Fancy dress is not required, just a lot of fun! MVA has selected five music business professionals from various aspects of the music industry to select the MVA Judges Choice Award. They work within film, radio, music publications/media, promotion, and a music venue. Tom Taddeo is filmmaker who has worked on 100’s of music videos including working with Snoop Dog, Tupac, Dr Dre, Ice Cube and more; he is based in Charlotte, NC. Tom will also be a guest speaker at the event while we are counting ballots for the crowd vote. Sean O’Connell is President and Founder of Music Allies and Creative Allies; he is based in Asheville. Rex Thomson is a writer, photographer and videographer with Honest Tune Magazine as well as creator of festival-based reality TV series Rex-A-Vision; he is based in Louisville, KY. Sadie is a radio host on 98.1 the RIVER and Mountain Mornings with Carson & Sadie on 105.9 the Mountain in Asheville. Sam Katz is Partner/Talent Buyer for the Asheville Music Hall and the One Stop. Special Thanks to the MVA 2012 Sponsors: Red Carpet Sponsor: 98.1 The River, Grammy Sponsor: Echo Mountain Recording, VIP Party Bus Sponsor: The New Belgium Brewery, and After-Parti Sponsor: The One Stop. We’d also like to thank The ONcorps, and Lush Life Productions, Dreamspider Publicity, and Sound Mind Creative for their work to make MVA 2012 a success! *NOTE: MVA has rating this viewing “R” because of adult content and themes. 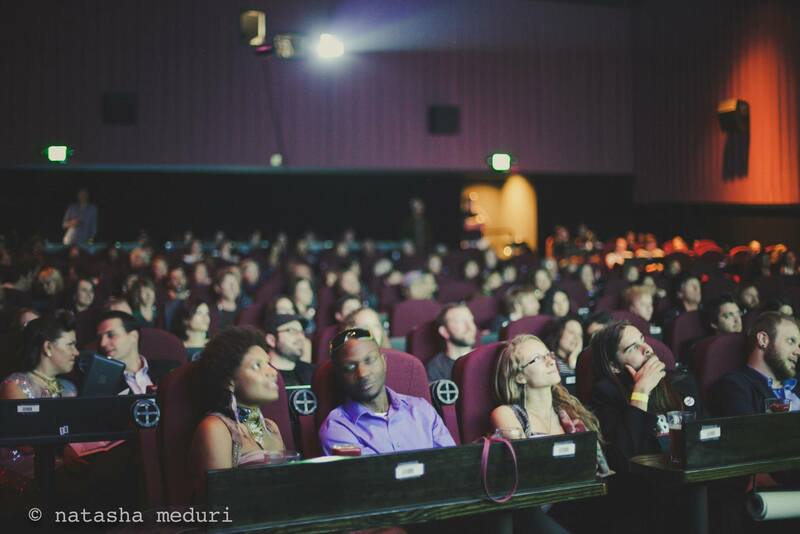 5th Annual MUSIC VIDEO ASHEVILLE Wed, May 9th at The Cinebarre ~ Tickets on Sale Now! Join Asheville’s music and film elite on the red carpet for the 5th Anniversary Celebration of Music Video Asheville on Wednesday, May 9th at the Cinebarre. Watch music videos by Asheville’s premier musicians and filmmakers on the big screen as they vie for the $500 cash prize and studio time at Echo Mountain. MVA’s mission is to network musicians and filmmakers so please bring business cards, stickers, show fliers to mingle about when the doors open at 6pm. Donned in your Grammy-style attire (of course with an Asheville flare) you can sip champagne and pose for the paparazzi on the red carpet until seating starts at 7:15. Don’t miss this all-star event and your chance to vote for your favorite Asheville music video! Thanks to Asheville’s supportive music community, this event usually sells out and fills up quick. Please arrive early to get a good seat. Advance tickets re on sale now and can be purchased at the Cinebarre, Harvest Records, & Orbitz DVD in West Asheville, The One Stop and The Honeypot in downtown. General admission is $8 in advance and $10 at the door. For those wishing to arrive in style and depart responsibly, board The New Belgium Brewing VIP Party Bus which picks up and drops off at the Official After Party at One Stop Deli and Bar with DJ Molly Parti and Par (The after-party is $5 or included with VIP ticket purchase). VIP is $30 and includes pickup and drop off at Cinebarre, champagne and New Belgium beer on the bus, red carpet drop off in a classic car, VIP seating, and admission to after party. Only 30 VIP tickets are available and they can be purchased online or at The One Stop or Harvest Records. Stay tuned to MVA’s Red Carpet Sponsor 98.1 The River for announcements about a VIP ticket giveaway in the coming weeks. We will also be making announcements about the who’s who of entries as well as information of the guest speakers and the judging panel! Special thanks to our sponsors: 98.1 The River, The One Stop, and New Belgium Brewing as well as the MVA ticket outlets. Music Video Asheville 2012 is produced by Lush Life Productions, theONcorps, Sound Mind Creative, and Dreamspider Publicity. If you are interested in volunteering or being a sponsor, please contact Kelly Denson via email at kelly at lushlifetoday dot com or call 828-515-1081. Advance tickets are recommended due to sell out and limited space. Music Video Asheville 2011 Winners and Playlist! Music Video Asheville 2011 was produced by FoAM (The Future of Asheville Music) and this year was sponsored by Music Allies as part of HATCH. Echo Mountain Recording and the Media Arts Project were also major sponsors of this year’s event which was held at the Fine Arts Theatre in downtown. You can also check out a more complete playlist at http://www.youtube.com/user/Dreamspiderweb#grid/user/C47697E0230DC2DD. Groundbreaking Mentor and Featured Artists for MVA 2011 is Ben Lovett. Lovett showed three videos and spoke about the films that he has been making for his upcoming album debut, Highway Collection. Viral video explosion of their first single, “Eye Of The Storm,” directed by Chris Alender with Soapbox Films, is a cinematic gem that has gobbled up a million views in 4 weeks on the web, and it’s follow-up, the foot-stomping, barn burner single, “Heart Attack,” directed by David Bragg with Flying Pig Studios.